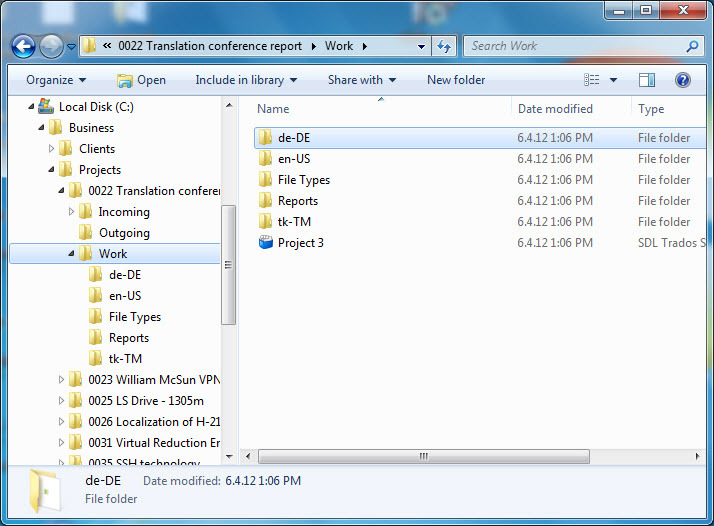 How to store the project files of SDL Trados Studio in the folder structure of Translation Office 3000 3D. 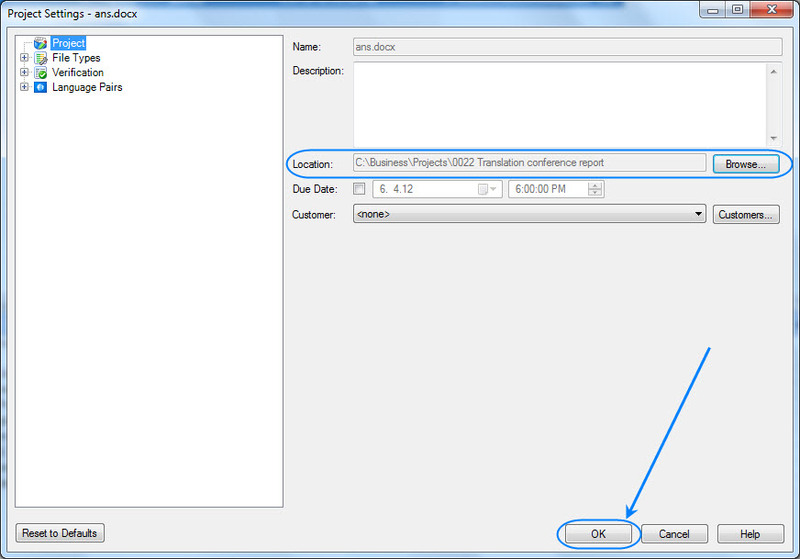 Translation Office 3000 has its own folder structure which is located in the Business folder. Under this folder two main sub-folders are created: Clients and Projects. When some client is created in TO3000, the appropriate folder is created for this client too with the client code as its name. It is possible to customize all folders which will be created automatically under each client and project in Advanced Settings > Folders (available only in TO3000 3D – Professional and Advanced). 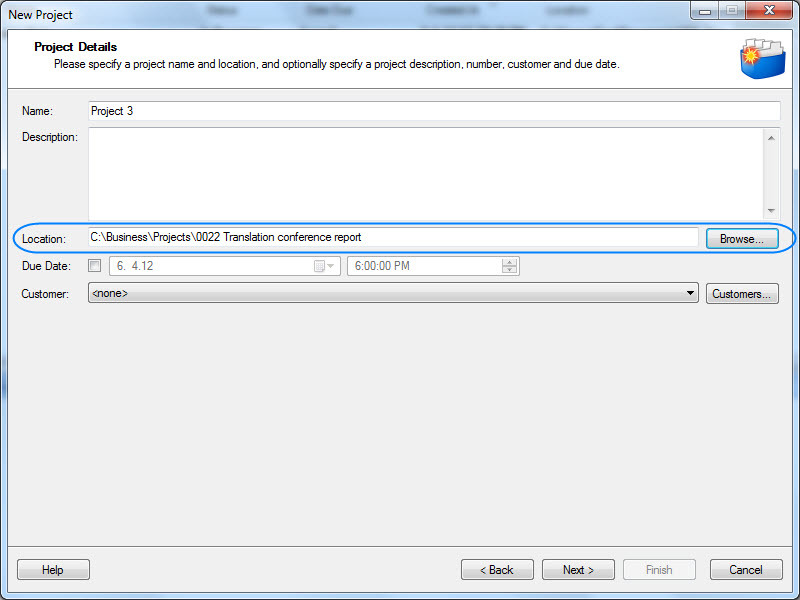 Once a project is created, the correcponding folder is created automatically.